Learning analytics involves measuring and reporting data about learner activity, performance, interactions, etc., often (but not exclusively) using visualisations. This information about learning can be applied at various levels, ranging from the individual student to course or institutional level, or even national/international level. In this workshop we focus on teaching analytics, which can also be relevant at a range of levels. Teaching analytics, therefore, are concerned with (i) the design, development and evaluation of visual analytics methods and tools addressing teachers, to help them support learning and plan their teaching; and (ii) analytics about teachers’ online interactions, to help them (or potentially others) better understand and use information about their teaching practices. 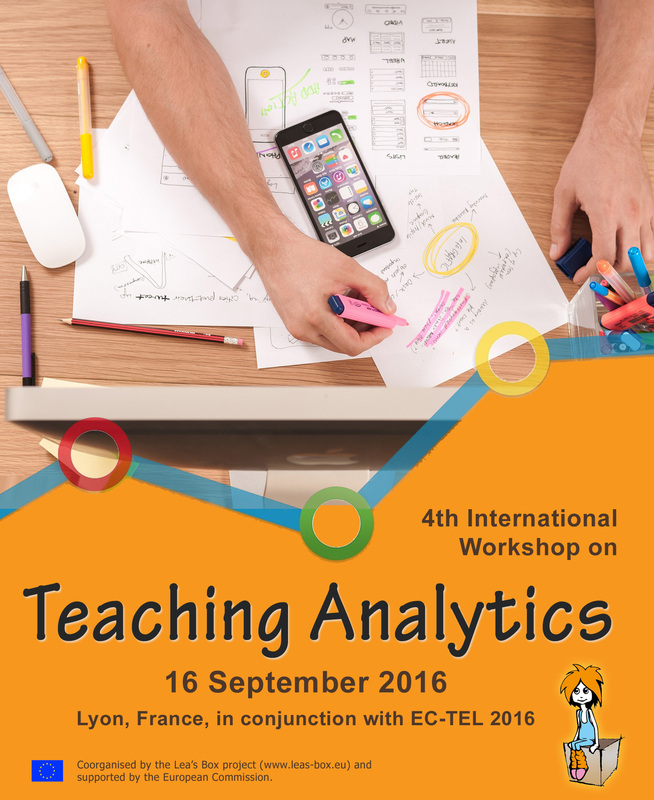 This fourth IWTA builds upon the interests and outcomes of the previous three workshops (respectively held at EC-TEL 2012, LAK 2013 and EC-TEL 2013) and on new directions that have more recently been identified for teaching analytics.